The Patton Attendance Zone is displayed below. As per AISD policy, only children who live in the Patton Attendance zone can attend Patton Elementary. During Registration families must provide proof of residency (Electric Bill, Lease or Morgage Statement). 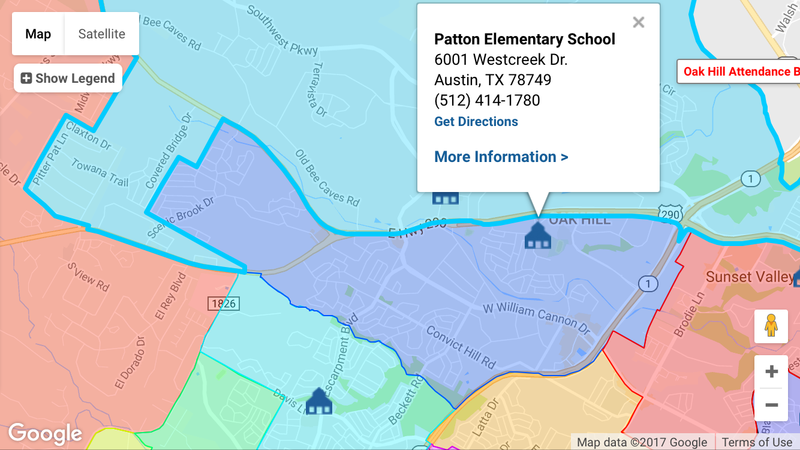 If you would like to check whether a specific address feeds into Patton, visit Austin ISD’s School Assignment by Residential Address page. If you live outside the attendance zone, you can learn about transfers from the Austin ISD website.